The TransScript One-Step gDNA Removal and cDNA Synthesis SuperMix combines the unique genomic DNA remover with TransScript® First-Strand cDNA Synthesis SuperMix to achieve simultaneous genomic DNA removal and cDNA synthesis in one tube. 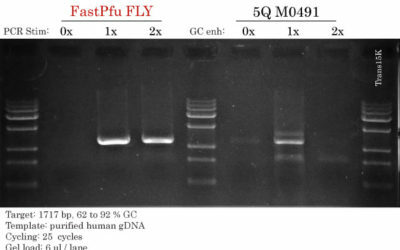 After cDNA synthesis, gDNA remover and reverse transcriptase are inactivated by heating at 85°C for only 5 seconds. 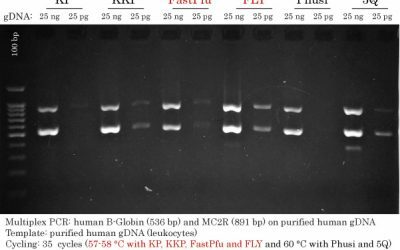 Compared to traditional pretreatment of RNA with DNase I, this method avoids RNA damage caused by inactivation of DNase I after treatment.